GenreOnline.net: It aired. We saw. It delivered. There will be so much written about Breaking Bad's series finale that I think the best way to go is just to be short and sweet. It was excellent. It delivered what I think viewers wanted most, which was a satisfying ending that yielded the promise of the series initial suggested potential as well as closure. 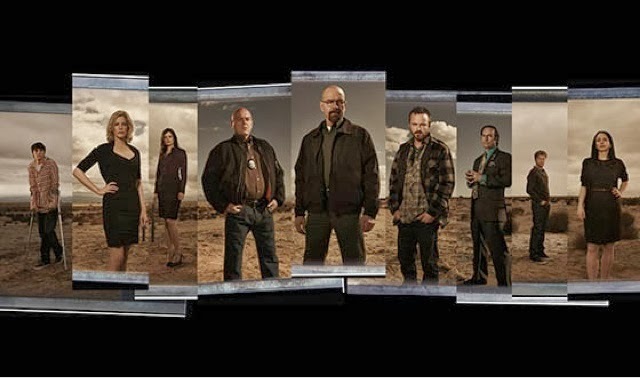 That combined with a tightly written and multifaceted cast of characters and literate scripts that follow classical dramatic structure and storytelling archetypes while still maintaining a mix of emotions that keeps the viewer involved is what will make Breaking Bad in a class so few television dramas ever reach so much so that it is difficult to find a show that is as masterfully crafted and maintains itself from beginning to conclusion as Breaking Bad has. I realize my words are extremely broad and not at all character or scene specific, but there are people who will discover Breaking Bad for generations to come and I want them to have the same joy of as I did or at the very least as close as humanly possible when they view it for themselves. Breaking Bad may just be one of a kind in a media that at the time of this writing is still less than a century old, but it will certainly be a show studied by entertainment professionals and aspiring ones alike for the foreseeable future and beyond. I have been thanked for turning people on to the show before it ended last night and it is a rare thing when someone does that and I, who has no connection to the show whatsoever, feels a sense of pride as if I did. Breaking Bad was and is that good.